The lights are up and the decorations are out all over downtown West Chester. There are plenty of holiday themed parades, concerts, and shopping specials to be found all around town. Get out and celebrate the Holidays this Weekend in West Chester! Back for December the final West Chester First Friday of the year. Get out and get done your holiday shopping with fabulous Frist Friday deals! As always shops throughout downtown West Chester will have extended hours, shopping specials, and some featuring refreshments. If you have not experienced a West Chester First Friday this is your last chance of 2015. If a December themed First Friday doesn’t spark the Holiday spirit in you there are plenty other Holiday events going on this weekend. 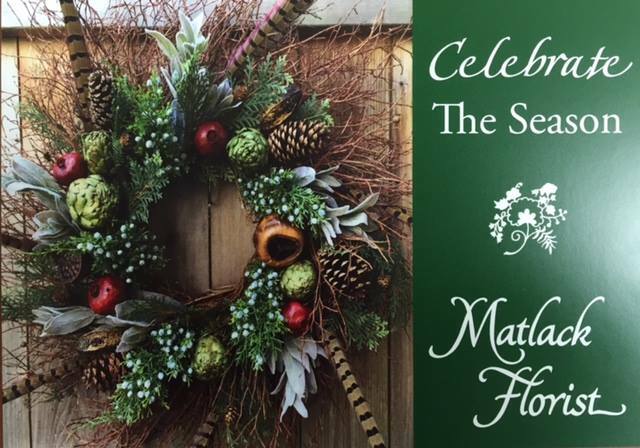 Local florist Matlack Florist, Inc is holding their Holiday Open house today, December 4th, from 9 AM-5:30 PM, and Saturday December 5th, from 9 AM-5PM. The open house features 10% off all giftware, gourmet products, silk wreaths, & silk arrangements, 20% off one item, and light refreshments. For more information about the event and a 20% off coupon check out the Matlack Florist Facebook. Already finished your Holiday shopping on Black Friday? Come see the Free Holiday Concert at the Chester County Historical Society beginning at 5 PM. More information on the Free Holiday concert here. Make an evening out of it! Dine out in downtown West Chester, catch the Free Holiday Concert, and finish out the evening with the West Chester Old Fashioned Christmas Parade. West Chester's grandest parade is the highlight of the winter holiday season with hundreds of dancers, performers, and musicians making the event a true extravaganza. Hosted by 6abc’s own Adam Joseph and presented by the Greater West Chester Chamber of Commerce. More information about the parade here. Before the parade, many local businesses and organizations throughout downtown West Chester will be hosting Holiday Open Houses featuring seasonal refreshments and entertainment in preparation for the parade, including the 7th Annual Jingle Elf Run. The 2-mile race (or 1-mile walk) kicks off at 6:30 PM. More information on the Jingle Elf Run here. The Holiday festivities continue throughout the weekend! 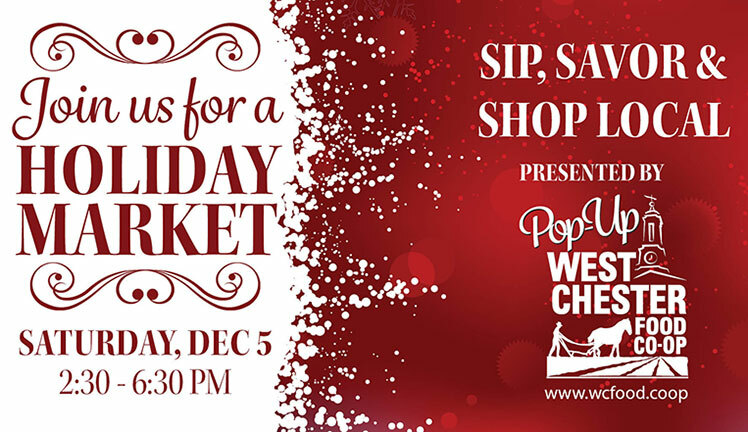 Saturday there are plenty of opportunities to get your Holiday shopping done all over West Chester. The Annual Critter Sale at The Brandywine River Museum of Art, the Hickman Annual Holiday Bazaar, and Open Houses at Chaddsford Winery. Featuring Christmas ornaments made from all-natural materials, by museum volunteers. The sale is free to attend, located in the lecture room of the Brandywine Museum. Thousands of handmade all natural ornaments are on sale again thanks to the critter volunteers of the Brandywine Museum. Prices range from $5 to $75, with specialty items to $200. These handcrafted, environmentally friendly ornaments always make distinctive gifts, and benefit the Museum Volunteers’ Art Purchase Fund, Art Education, and Programming. Cash, check, and credit cards accepted. More information here. Hosted December 4th and 5th from 9 AM-2 PM at The Hickman, a 124 year old independent and assisted living personal care residence located at 400 N Walnut St. Featuring handmade baked goods, jewelry, plants, and other great finds. All the proceeds benefit resident activities. 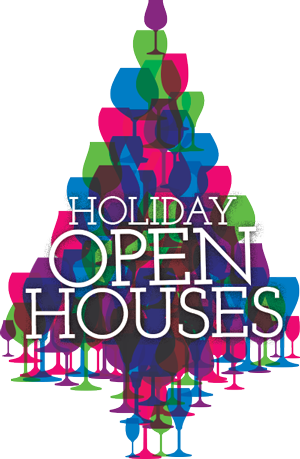 Every weekend in December Chaddsford Winery will be hosting Open Houses, Saturdays 11AM-8 PM, Sundays 11 AM-6 PM. Shop the collection of locally-produced award winning wines. Also on sale are seasonal gift baskets, DIY wine basket station, prewrapped wine bottles, and handcrafted goods made by local artisans. As always there will be plenty of Chaddsford wines to taste! More information here. If you want to just get out and enjoy the Holiday festivities there are plenty of opportunities for that on Saturday as well! On the corner of Gay and Walnut Street the West Chester Food Co-op will be hosting a pop-up outdoor holiday market offering seasonal treats, small gifts for purchase, twinkling lights, and caroling. Come out and taste some local sweet treats! Details here. Still need to take the kids to see Santa? Make sure they have their Christmas lists in hand when you attend Breakfast with Santa at the Chester County Historical Society. Enjoy a breakfast buffet while the kids sit on Santa’s lap. Registration required make sure to register at West Chester Parks & Recreation. End the evening at the West Chester Charity Ball at the West Chester Golf and Country Club. The Charity Ball benefits the Friends Association. Come out for live music, dancing, and supporting a good cause! The Ball starts at 6:30 PM, click here for ticket information. Enjoy a holiday classic with the whole family Sunday December 6th and see It’s a Wonderful Life, a live radio play. Presented by the Chester County Historical Society. The Resident Theater Company (RTC) is a professional theater company based out of West Chester, PA. Directed by Kristin McLaughlin Mitchell, the original radio play first produced in 1947, will be performed by six professional actors out of Philadelphia, PA. Additionally, the show will feature The Concordia Arts Chorus. Ticket information here.